Office blogger Charlie offers some alternative ways to keep the kids occupied this Spring Bank Holiday. You know what’s it like – a four day weekend looms and even though you’re craving nothing more than a peaceful break from work, it’s time to entertain the kids. Whilst the Spring Bank Holiday might be your idea of heaven, it can quickly turn into a big of a drag for the little ones – especially if there’s nothing to occupy them. You’ve got to remember that at this age, most kids haven’t yet learned to covet school holidays like Indiana Jones covets dangerous relics. After two days at home, they can start to get a little antsy. Plus, there’s only so many ideas that a working parent can come up with. You’ve already done the zoo, the beach, the fair and the farm this year – where is there left to go? Well we have a couple of super solutions! 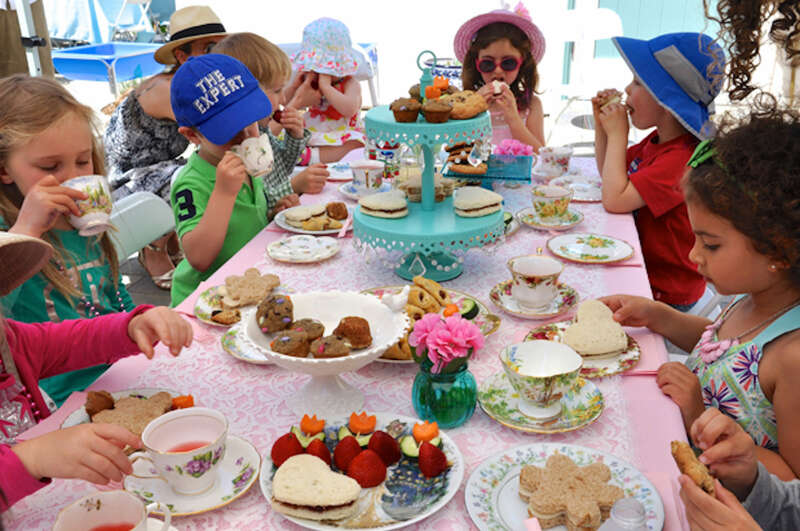 There’s nothing bound to please your kids and their friends more this Spring than a fun party. It’s time to stop searching for excitement and let it come to your front door instead. 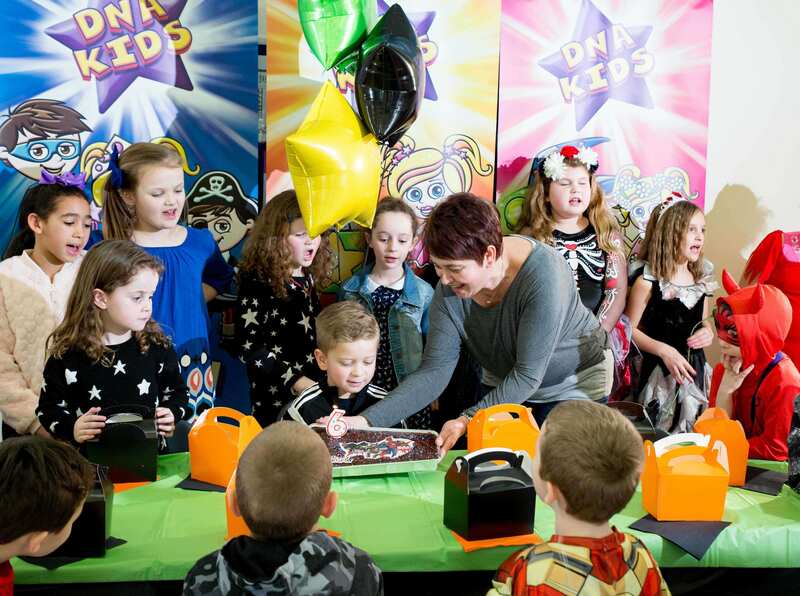 With the help of a team of fully qualified experts and entertainers, you can throw a themed children’s party with the minimum of fuss, effort and expense. They say that the old ones are the best and it’s certainly true that princesses, heroes and pirates never go out of style. It doesn’t matter whether you’ve got a girly girl who loves to be pretty in pink, or a rough and ready lad who dreams of being a swashbuckling pirate – we can cater for both. In fact, our Princess, Heroes and Pirates Party package is tailored to the personal preferences of the birthday child. We’ve got games like Sea Creature Scramble and Race To Treasure Island for budding adventurers and games like Once Upon A Dream and Hunt for the Sparkly Diamonds for delicate and dreamy princesses. 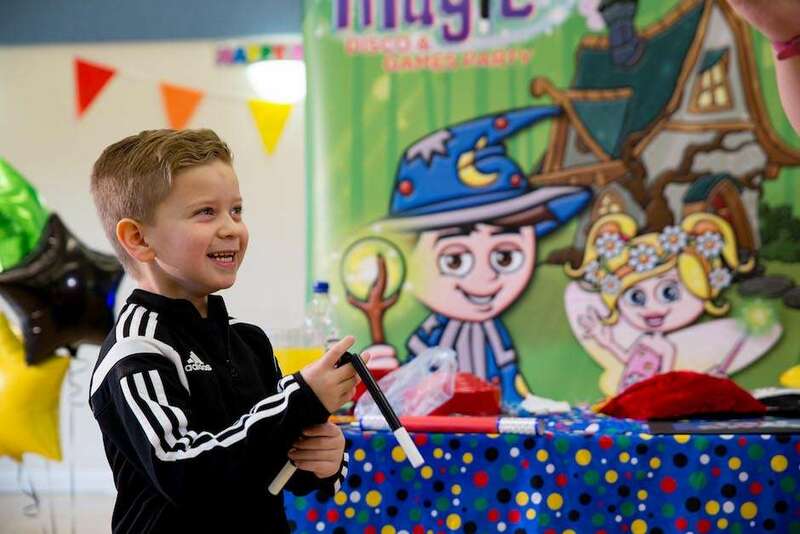 If your little ones are looking for something a little more mysterious, there’s our mystical Magic Disco & Games Party package. This is an extremely popular party, so do make sure to book early for this one. It seems like everybody wants a go at being a wizard for the day – we’ve got the wonderful J.K Rowling to thank for that. We always kick off this party with a really rocking disco, complete with FX lighting and either a bubble, snow or smoke machine. If you like our Facebook page we’ll include a second machine at no extra cost! We promise that after a couple of games of Magic Circle Mayhem and Gobbledegook, you’ll be grinning like Cheshire cats. Over the course of two hours, we’ll test your sporting prowess with our action packed Soccer Superstar Football Party package. As temperatures are finally starting to rise and the sun is now making a regular appearance, there’s simply no excuse not to get outside and let off some steam. We’re here to help you do just that with a plethora of games and activities designed to test the skills of your party guests. We’ll transform a garden or a hired pitch into football training centre – complete with nets, goals, balls, sweets and prizes. We’ve even got a giant inflatable football, just to spice things up a little and get party guests feeling super silly and excited. For all of the families unlucky enough to live a long way away from the beach, we’ve got something rather special. If you decide to book our Beach Party package, we’ll transform a venue of your choice into a super summer luau. We’ll not only provide all of the equipment needed to throw a really rocking beach disco, we’ll also send a fully qualified and DBS checked entertainer to take charge of the party games and activities. With energetic games like Surfer Dudes Vs Hula Girls Limbo and Don’t Forget Your Passport on the cards, your party guests will quickly forget that they’re not on an actual beach at all. This package can be tailored to suit children over the age of 7, as well as younger kids. 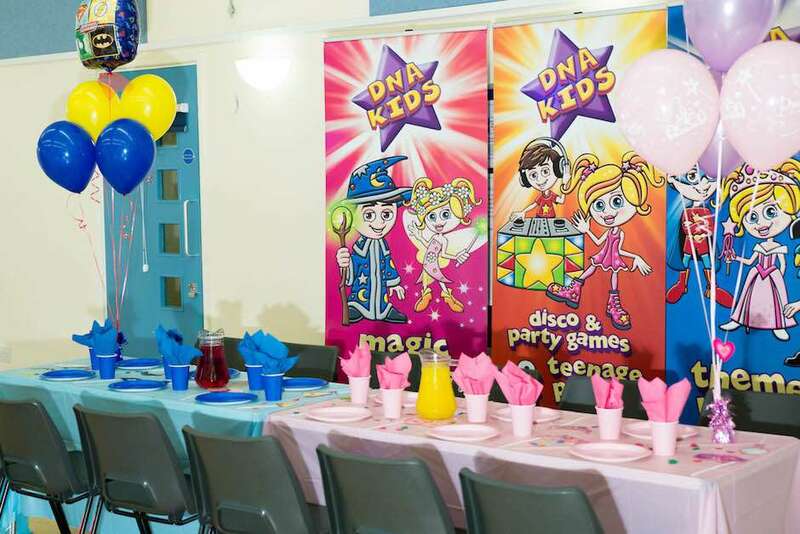 To find out more about any one of the DNA Kids party packages, to get a quote or make a booking, please call our friendly kids party advisors on 01245 401 401.